This was another favorite assignment. 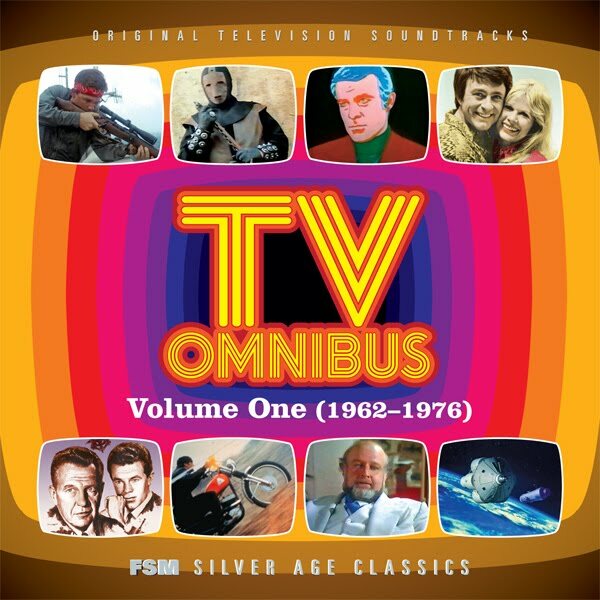 Most of this 5-CD set consists of TV-movie scores composed by some of the greats of the ’60s and ’70s: Lalo Schifrin (Earth II), Dave Grusin (Assignment: Vienna), Leonard Rosenman (The Phantom of Hollywood), Don Ellis (The Deadly Tower), Billy Goldenberg (High Risk), Jerry Fielding (Shirts / Skins) and George Duning (…Then Came Bronson). Throw in a TV-episode score by Johnny Williams (for The Eleventh Hour), George Romanis’ theme for Assignment: Munich and Richard Chamberlain’s vocal from Dr. Kildare and you really do have a potpourri of great TV music from 1962 to 1976. It was especially exciting to revisit Grusin’s three jazzy scores for the short-lived Robert Conrad spy series Assignment: Vienna (part of The Men trilogy on ABC, 1972-73) and Schifrin’s wonderful score for the Earth II pilot of 1971. This entry was posted in Composers, Television Music and tagged Assignment: Munich, Assignment: Vienna, Billy Goldenberg, Dave Grusin, Deadly Tower, Don Ellis, Dr. Kildare, Earth II, George Duning, George Romanis, High Risk, Jerry Fielding, Lalo Schifrin, Leonard Rosenman, Phantom of Hollywood, Shirts/Skins, The Men, Then Came Bronson, TV movie scores, TV music on August 25, 2010 by Jon Burlingame.